No matter what stage your relationship is in, going out to dinner in a restaurant (and even lunch or breakfast), is one of the most common date activities. So if everyone does it, how do you make your dinner date special? How do you prevent it from being a disaster? Choosing the right restaurant can make or break your date night. In fact, if you’re in the beginning stages of your relationship the restaurant you choose could end up deciding if there is going to be another date. While I am not trying to ratchet up the pressure and set your nerves on edge, picking the perfect restaurant for your date, requires some thought. So here are some things to consider to make your dinner date all you hoped for. What kind of food do you like, and more importantly does your date like? Now, I know you think the easiest way to figure this out is to ask your date where they would like to go to dinner. Do not do this. Why? First, no one wants to make the wrong choice, so more often than not, your date is going to respond with, “I don’t know where do you want to go?”. This conversation can go on for hours, and is frustrating. It also takes some of the magic out of what makes a perfect date. When you pick up your date, and have everything already prearranged, and you get to the restaurant and it is somehow the perfect place, that is magic! So, if you can’t ask, how do you figure it out? Start with what you know. What does your date hate? Have they mentioned foods they love, or a restaurant they love? How about a restaurant they have never been to but would love to try? Check your date’s social media, often you can get clues on restaurants and foods they love from there. Still at a loss? Try taking your date somewhere you love, somewhere you have a unique connection to. Sharing something you love with a date, is a great way to open conversation and bond. The atmosphere of the restaurant you choose, will have almost as big of an effect on your date as the food. In fact, it will probably have a bigger effect. If you want to be able to gaze into your date’s eyes and have meaningful conversation, make sure the restaurant your choosing is going to make that possible. Some restaurants aren’t just about the food they are about the experience. If dinner includes a show, be it the food being prepared in front of you, or literally a dinner show, the focus is no longer on you and your date and is instead on the show. If you choose a sports bar, then of course the focus will be on the game playing in the background, which can be great if you and your date are huge sports fans. If one or both of you aren’t, it might not be the place to go. If it’s too loud you can’t talk and connect, which may or may not be a good thing depending on your intentions. Is the music being played something you and your date enjoy? Is there dancing, and if there is be prepared to dance. Do not go somewhere dancing is offered and part of the the experience unless you and your date enjoy dancing. At this point you should have whittled your list of possible restaurants down. Make sure that you are considering ones in your budget. Take the time to go online and figure out what the cost of an average meal at each restaurant is. You do not want to get to a restaurant open the menu and have an immediate panic attack after reading the prices. You want to go in knowing that you and your date can order a full meal without any fear of not having enough money to cover the date. Do not bring a coupon. Coupons are great, but, when you bring a coupon on a date you planned, it looks like you picked the restaurant because you had a coupon, not because you just knew your date would love it. Save the coupons for a return trip with your date, after they know how thoughtful and romantic you are. If your budget is minimal that is okay. This is when you fall back on the small and sweet things, take your date to a restaurant that you love that may not be low cost but you have some special connection to. If you planned the date, just be prepared to pay for it. This is the internet era, use it to your advantage. Read reviews on restaurants you are considering, even if you went to a restaurant and it was a childhood favorite, things change. Reviews give you a chance to have an idea of what you are walking into. And, to avoid it if it could be a disaster. It is also a great way to get informed about what the restaurant does right. If reviewers rave about a dish, you can tell your date. Little things like that let your date know how much effort you put into the date, and makes the feel special. Reviews are a powerful tool, they can help steer you away from a horrible dining experience, or guide you to the perfect one. You have picked the best restaurant. Now what? You have finally made what you are relatively certain is the right choice. Now what? First, does the restaurant recommend or require reservations? If it does, make one, you do not want to show up and have to wait with your date for a table, or worse not even be able to get one. Is there something going on at the restaurant on that night? Some restaurants have themes nights, or events, check to see if there is anything going on the night of your date, and decide if that is going to change whether or not you want to take your date there that night. Give your date some guidance. You know where you are going. 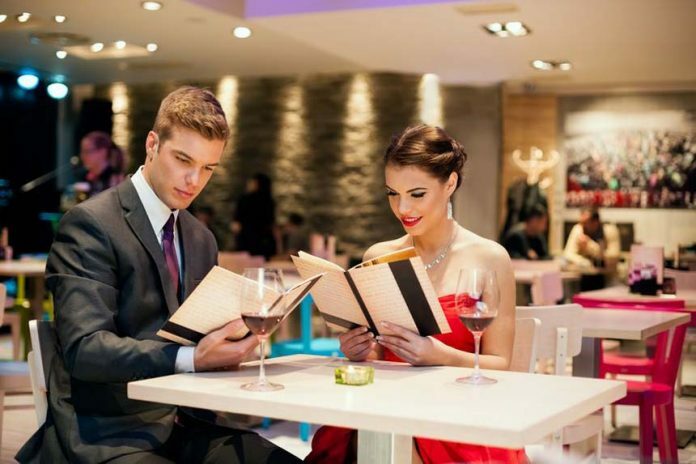 You know if it is a upscale fine dining establishment or something else, you can keep the element of surprise but at least give your date a clue on what to expect, so they can plan, and dress accordingly. And finally, stay calm, your date chose you, not the restaurant. So be yourself, because that is who they want to be with, a great meal just makes the evening even better.